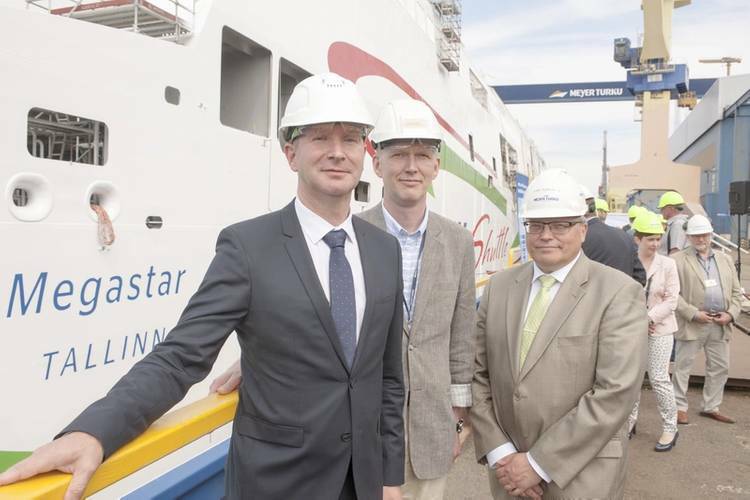 A new LNG-driven fast ferry Megastar was christened in Meyer Turku shipyard for owner/operator Tallink Grupp. 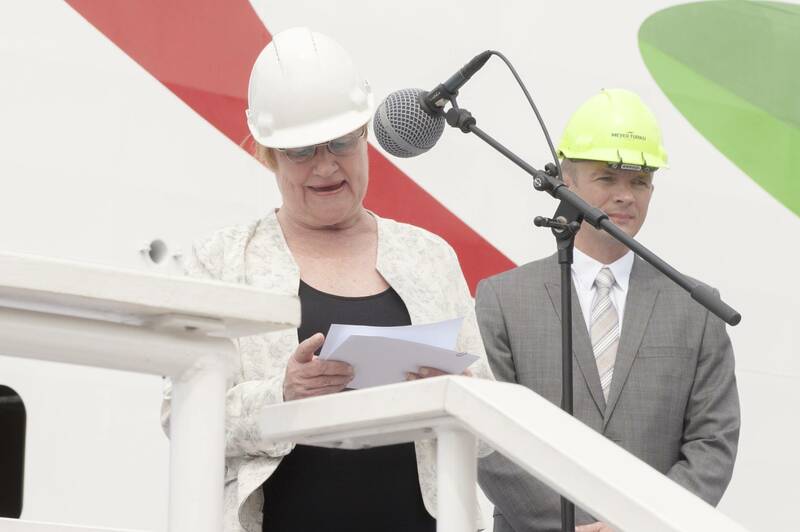 The environmentally sound ship was christened on July 1 by former president of Finland Tarja Halonen. First steel was cut for Megastar on August 4, 2015, and the keel was laid on February 9, 2016. Float-out and sea-trials are planned for July and the last months of 2016, respectively, followed by delivery planned to take place in the beginning of 2017. 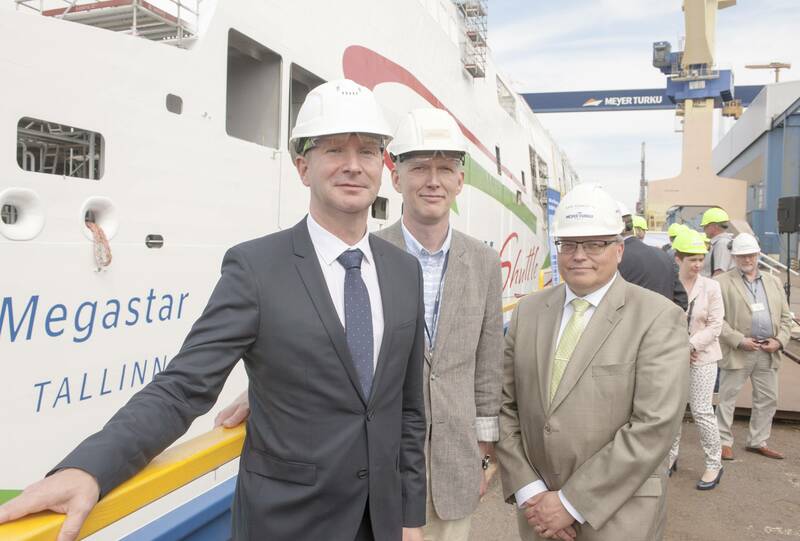 Janek Stalmeister, CEO of AS Tallink Grupp, said that the process of completing the ship is now almost halfway done. “Tallink Megastar is custom designed for Tallink’s passengers and is in that sense unique. 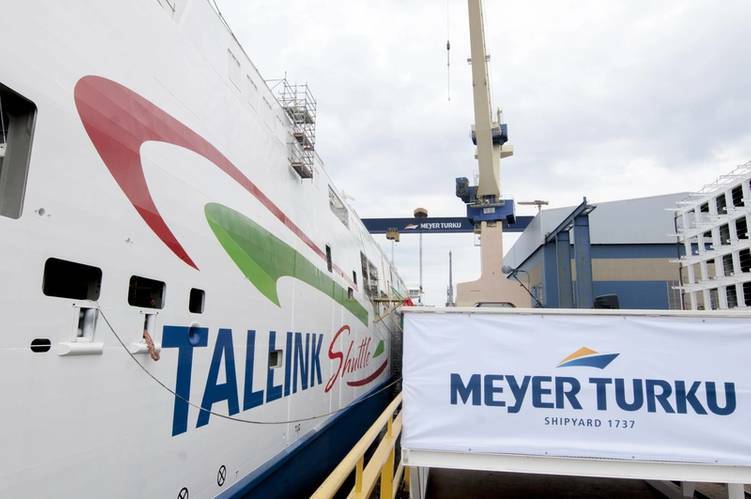 Hence we are delighted that Tallink has chosen a traditional naming ceremony and even more happy as former president Tarja Halonen is honoring us with her presence,” Meyer said. Megastar is 212 meters long and will accommodate altogether 2,800 passengers, having the same length and capacity as the largest cruise ferry of the company, the Baltic Queen. Megastar will use LNG as fuel, but will also be able to run on diesel. With LNG, her environmental performance will improve much by creating no Sulphur or soot particles and decreasing the Nitrogen and CO2 emissions. She will be a 49 000 GT ship with a service speed of 27 knots. Designed for the Tallinn-Helsinki route exclusively, Megastar will comply with the current and future emission regulations for the Emission Control Areas (ECA), including the Baltic Sea. The ship will combine the comfortable fast ferry service, social eating experience of open-layout dining areas, versatile choice of lounges and well thought through shopping solutions, the shipbuilder said. The passenger comfort is upgraded with two-level loading, enabling the passenger vehicles and large cargo units to enter and exit from different levels, also making the car-deck logistics easier. The upgrade continues with the easy and wide access to passenger areas with different venues, including a quiet sitting lounge. There will be a number of smart services on board.